Story Behind This Painting: I was working with a student and we chose this image to paint. 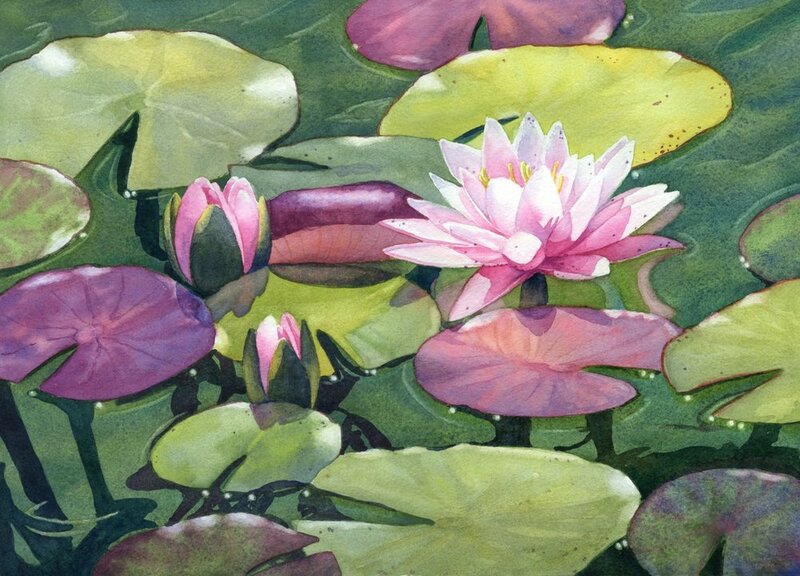 We like the light on the lilies and the variety of greens on the lily pads and in the water. I used many layers in the water to give it depth and the dark stems and shadows add to the resulting sunlit feel.